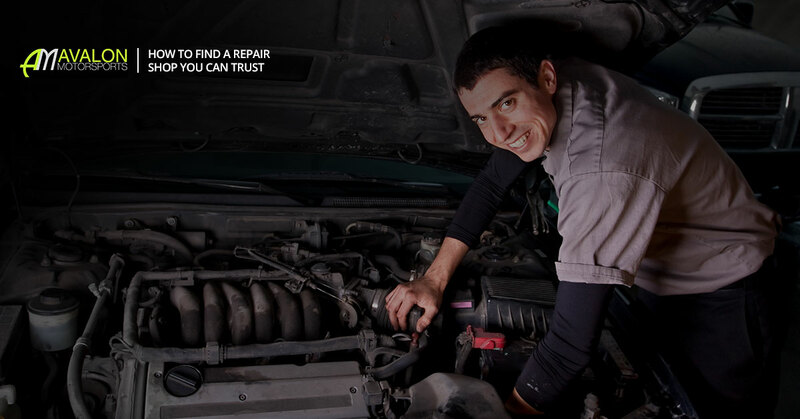 There’s no doubt about it; finding a reliable and trustworthy auto repair shop is difficult. And, even more if you’re searching for specialized experts who only work on German make and model vehicles. German auto repair requires a certain specialty not all companies can provide. Because of this, our experts are sharing what they think of the 6 traits that separate real and specialized mechanics from wannabes in the Denver metro area. Believe it or not, the appearance of your a repair shop matters. While it’s true the old saying that people will always notice a dirty house and not a clean one is somewhat true, when you travel to a shop for repair or service, a clean and well-organized shop will reflect great attention-to-detail, as well as the care and effort it takes to maintain a professional image. Think back to the last time you had a service or repair completed at a subpar shop. What did the waiting area look like? What we’re guessing is a grimy and grungy, both of which are not comfortable to hang out in. A quality repair shop will always have a comfortable waiting area, a shuttle service and a clean restroom. These amenities make waiting for your service or repair to be completed much more enjoyable, and they may just keep you coming back for more. If you would like to have a high-quality German auto repair completed, you’ll need to make sure the company you choose has ASE certified technicians, specialized mechanics and factory service training. If you choose a shop that doesn’t provide credentials, be sure to ask about them. A company that can’t provide you proof of credentials is one you don’t want to partner with. Even though you may not know much about the equipment a service shop uses, you should ask them the type of service equipment they have, if it’s up-to-date and if they have any repair data they can provide you. If they have equipment they trust, they’ll have no problem sharing information about it. When a service or repair is provided to you, our German auto repair experts always give you a warranty. We believe a warranty is one of the best benefits of choosing a reputable auto repair company. Why? An auto repair company should be able to stand behind their work, and if they don’t, you can’t truly trust that what they are providing your car with is exceptional. Although this sounds cliche, a company that is associated with AAA is likely to be a trusted and reputable auto repair business. AAA takes pride in certifying companies properly to make sure customers are given trouble-free experiences. Want to learn more about our company? Learn more about Avalon Motorsports here, and check out all of the German auto repair services available. We’re always available to help. Call 303-400-3001 now!